Several San Jose flooding evacuees have discovered someone looted their homes. Residents and police on Friday said burglars hit the South Bay Mobile Home Park along Oakland Road. "I don't know why they would do this during a flood," said 12-year-old Frank Pham, who lives at the mobile home park. Pham is worried the thieves will come back and steal from his neighbors. His family was forced to evacuate due to historic flooding in San Jose. When they returned to pick up some belongings Friday morning the Phams discovered thieves punches through the glass window to get into the front door. "They vandalized everything," Pham said. 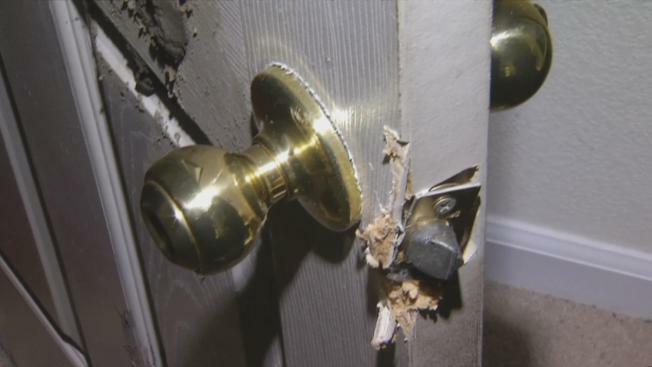 The burglars also kicked in a locked bedroom door to steal a safe with important documents, jewelry and money. Police said they have increased patrols in all areas under evacuation. There are no suspects in the burglaries, police said.